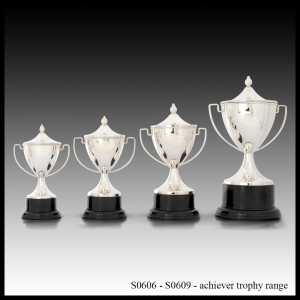 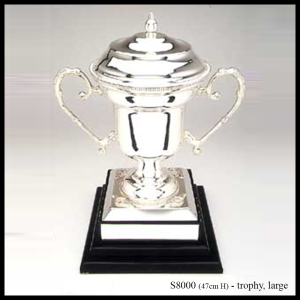 The Achiever silver trophy range, there are 4 sizes in the range, features a clean, modern look. 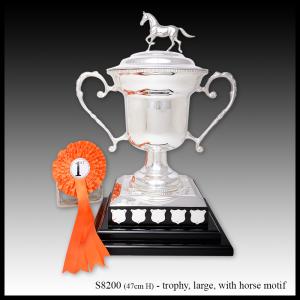 The Eclipse silver trophy range, there are 6 sizes in the range, features modern clean-look die-cut handles. 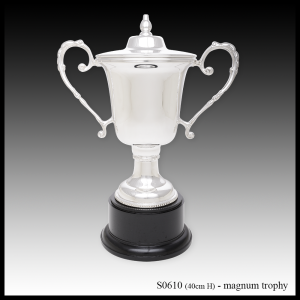 The Magnum silver trophy is an elegant award for high achievers in any competition or tournament.